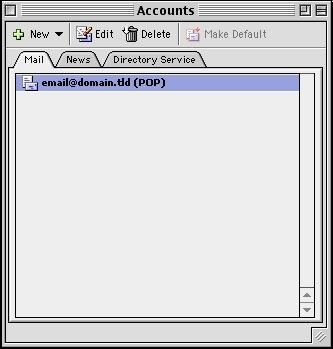 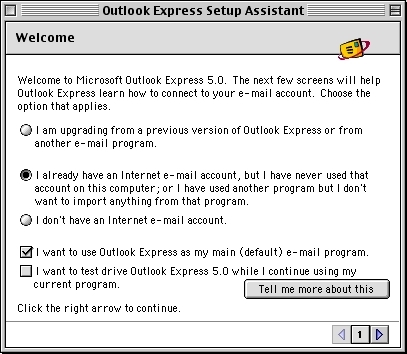 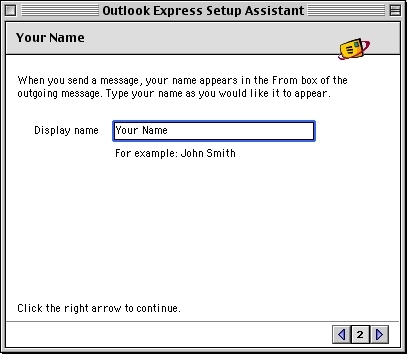 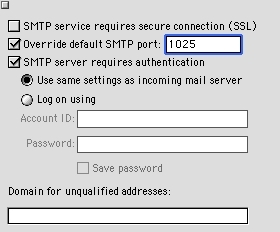 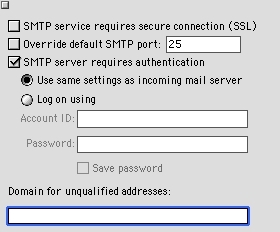 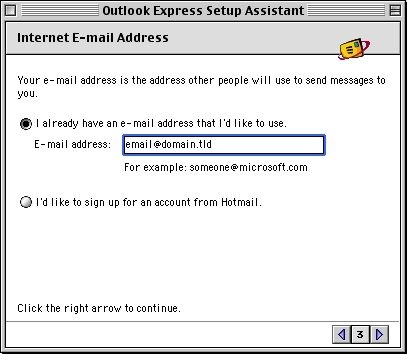 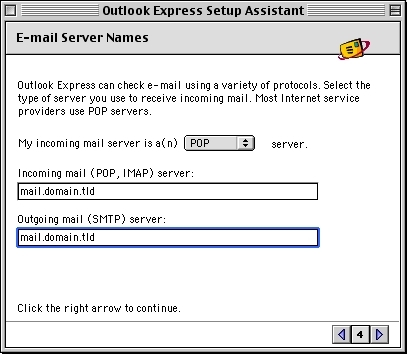 If this is the first time you have started Outlook Express, the 'Outlook Express Setup Assistant' will appear. 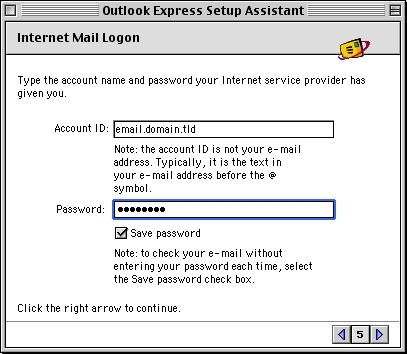 If you have already been inside Outlook Express, click on the 'Tools' menu &gt; 'Accounts' > 'Mail' tab > in the top left corner, click the 'New' button, and then click 'Mail'. 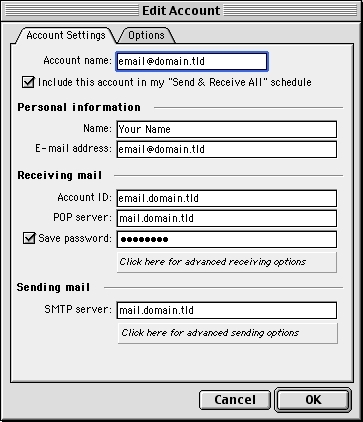 Make sure the 'Include this account in my &quot;Send & Receive All" schedule' box is checked. 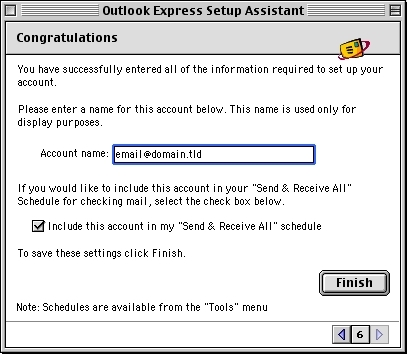 Click on the 'Tools' menu &gt; 'Accounts' > 'Mail' tab > Highlight the account > 'Edit' button at the top > 'Account Settings' tab > 'Click here for advanced sending options' button below 'SMTP server' at the bottom of the screen.